Heart rate reserve is a term used to describe the difference between your maximal heart rate and your resting heart rate. It can then be used to estimate your aerobic exercise training zone. 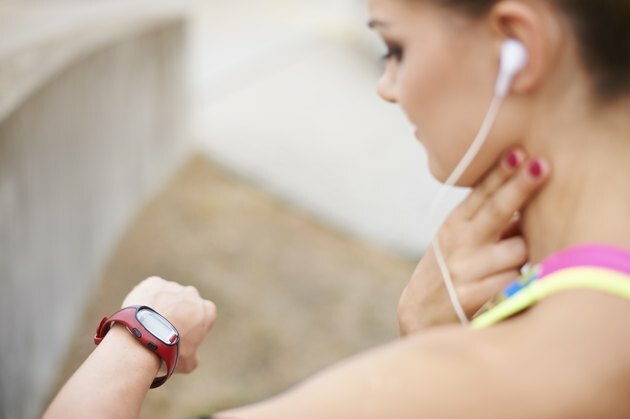 Estimate your maximal heart rate by subtracting your age from 220. Determine your resting heart rate by placing your index and middle fingers over your radial or carotid pulse and counting the number of pulses in one minute. Subtract your resting heart rate from your maximal heart rate to determine your heart rate reserve. The methods described give estimates. Contact a health or fitness professional for more accurate measurements. What Factors Influence Blood Pressure? Is Balsamic Vinegar Safe During Pregnancy?